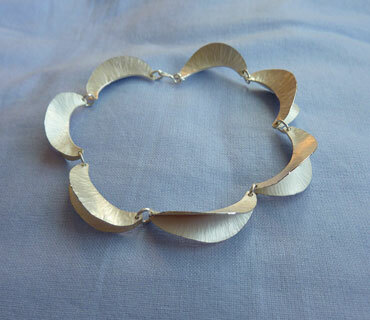 This sterling silver bracelet is made up of hand-forged, fold-formed elements. It fastens with a small hand formed link and hook. The edges of the wave like elements are burnished to catch the light giving the piece a delicacy that belies its strength.